Bank of New York has introduced a system that enables institutional investors to electronically trade ordinary shares in foreign markets and to automatically convert those shares to American depositary receipts for US settlement in dollars. The bank enhanced its ADR Direct platform, making it the only product to offer real-time ADR conversions and straightthrough processing of trades. The system uses a patentpending process through GTrade, the Bank of New York’s electronic trading system for non-US securities that handles $1 billion a day in transactions in 25 markets for 1,000 institutional clients. “A money manager client in Amsterdam could buy ordinary Sony shares in Tokyo, for example, and convert them to ADRs by hitting the ADR button on the order blotter,” says Andrew P. Levine, New York-based managing director at G-Trade. ADR Direct clients do not need a global settlement and clearing infrastructure to access non-US trading markets, he says. Clients settle the trades in the same manner as if the ADR traded in the US. ADR Direct clears and settles the foreign shares in the local market, handles all foreign exchange cash movements and other details. Clients view an indicative ADR conversion price prior to executing trades in ordinary shares. They lock in a foreign exchange rate from the time their ordinary-share trade is completed until the end of US trading hours. G-Trade is the executing and clearing broker for non-US equities traded through the Bloomberg Tradebook. 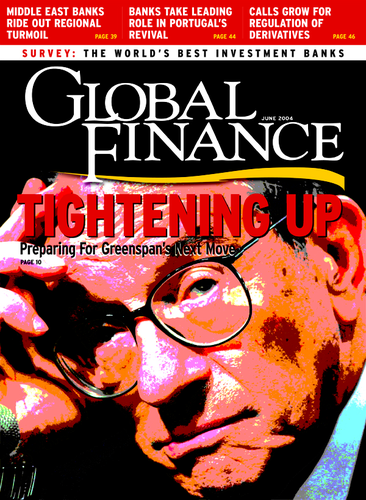 “Where the home trading market is more liquid than the ADR market, or where there are cross-border arbitrage opportunities, ADR Direct enables clients to minimize their market impact and maximize returns,” Levine says The system enables customers to maintain control of their order flow while remaining anonymous to the marketplace. It is different from ADR-toordinary- share cross-books and swap platforms because it enables the client to create ADRs in three to five seconds without having to wait for a matching opportunity to develop. Air France appointed Citigroup as depositary bank for its ADRs and American depositary warrants traded on the New York Stock Exchange following the airline’s merger with KLM Royal Dutch Airlines. The Air France ordinary shares and warrants are listed on Euronext in Paris and Amsterdam. Under the terms of the merger agreement, the two airlines will form a joint holding company,Air France-KLM, under which the Air France and KLM names will co-exist for three years.The holding company will own both airlines, but KLM will remain Dutch, with 51% of its voting rights held by the government and two foundations. In a tender completed in May, Air France won more than 89% of the share capital of KLM for about $996 million.The transaction was the first cross-border merger of major European airlines. It created the world’s largest airline by sales, ahead of Japan Airlines System, and third in terms of passengers, behind American Airlines and United Airlines. Stockholm-based Electrolux chose Bank of New York as successor depositary for its ADR program. Electrolux is one of the world’s largest producers of vacuum cleaners and other appliances for kitchen use, as well as garden tractors, lawn mowers and chain saws. It also makes foodservice equipment for hotels and laundry equipment for apartment buildings. The Swedish company’s ordinary shares are listed on the Stockholm and London stock exchanges.The ADRs trade on Nasdaq. Each ADR represents two ordinary shares. Mumbai-based Elder Pharmaceuticals selected Bank of New York as depositary for its Rule 144A program for securities not registered with the US Securities and Exchange Commission. Elder raised $12.4 million by issuing global depositary receipts that trade on the Luxembourg Stock Exchange.The company’s ordinary shares trade on BSE, the Stock Exchange, Mumbai. South Africa-based clothing and footwear retailer Edgars Consolidated Stores established an ADR program as part of a strategy to diversify its shareholder base internationally. SABMiller, the largest brewer in South Africa, holds a 20% stake in Edgars Consolidated, also known as Edcon. Although SABMiller is still the largest single shareholder, it has reduced its holdings from a 65% stake in the late 1990s. Edcon’s operations include stores in Namibia and it aims to become a general merchandise retailer throughout southern Africa. In the past two years it bought 17 Super Mart stores and 186 CNA bookstores in South Africa and Namibia, as well as housewares retailer Boardmans. “Our international shareholding is currently around 18%, and we believe Edcon is well placed to attract further international attention after several years of rapid but sustainable growth,” says Edcon CEO Steve Ross. 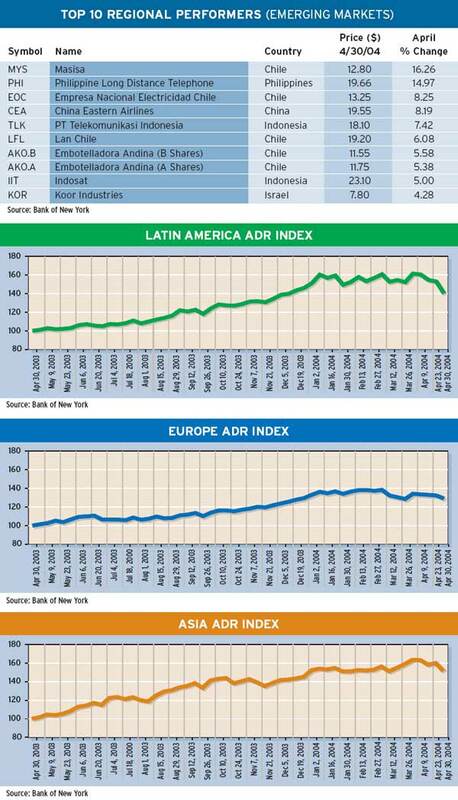 Each ADR represents one Edcon ordinary share, and the ADRs trade in the overthe- counter market. Bank of New York is the depositary. According to Ross, the ADR issue was timed to take advantage of growing foreign interest in the consumer sector of the South African equity market due to the country’s improving economy. Edcon is one of 44 South African companies that have issued ADRs.